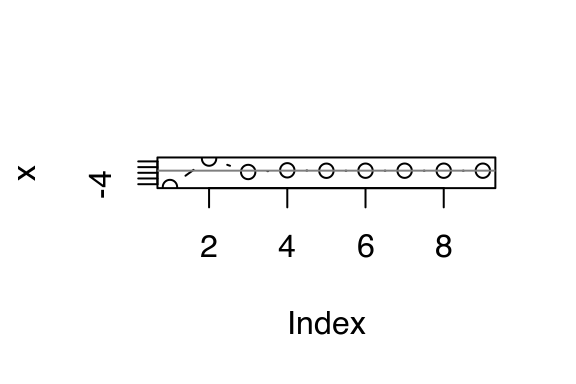 Function operators · Advanced R.
In this chapter, you’ll learn about function operators (FOs). A function operator is a function that takes one (or more) functions as input and returns a function as output. In some ways, function operators are similar to functionals: there’s nothing you can’t do without them, but they can make your code more readable and expressive, and they can help you write code faster. The main difference is that functionals extract common patterns of loop use, where function operators extract common patterns of anonymous function use. The following code shows a simple function operator, chatty(). It wraps a function, making a new function that prints out its first argument. It’s useful because it gives you a window to see how functionals, like vapply(), work. This is an important use of FOs: by transforming the input function, you eliminate parameters from a functional. In fact, as long as the inputs and outputs of the function remain the same, this approach allows your functionals to be more extensible, often in ways you haven’t thought of. The chapter covers four important types of FO: behaviour, input, output, and combining. For each type, I’ll show you some useful FOs, and how you can use as another to decompose problems: as combinations of multiple functions instead of combinations of arguments. The goal is not to exhaustively list every possible FO, but to show a selection that demonstrate how they work together with other FP techniques. For your own work, you’ll need to think about and experiment with how function operators can help you solve recurring problems. Behavioural FOs introduces you to FOs that change the behaviour of a function like automatically logging usage to disk or ensuring that a function is run only once. Output FOs shows you how to write FOs that manipulate the output of a function. These can do simple things like capturing errors, or fundamentally change what the function does. Input FOs describes how to modify the inputs to a function using a FO like Vectorize() or partial(). Combining FOs shows the power of FOs that combine multiple functions with function composition and logical operations. As well as writing FOs from scratch, this chapter uses function operators from the memoise, plyr, and pryr packages. Install them by running install.packages(c("memoise", "plyr", "pryr")). Add a delay to avoid swamping a server with requests. Print to console every n invocations to check on a long running process. Cache previous computations to improve performance. dot_every() is a little bit more complicated because it needs to manage a counter. Fortunately, we saw how to do that in mutable state. That’s harder to follow because (e.g.) the argument of dot_every() is far away from its call. This is sometimes called the Dagwood sandwich problem: you have too much filling (too many long arguments) between your slices of bread (parentheses). I’ve also tried to give the FOs descriptive names: delay by 1 (second), (print a) dot every 10 (invocations). The more clearly the function names used in your code express your intent, the easier it will be for others (including future you) to read and understand the code. Another thing you might worry about when downloading multiple files is accidentally downloading the same file multiple times. You could avoid this by calling unique() on the list of input URLs, or manually managing a data structure that mapped the URL to the result. An alternative approach is to use memoisation: modify a function to automatically cache its results. Memoisation is an example of the classic computer science tradeoff of memory versus speed. A memoised function can run much faster because it stores all of the previous inputs and outputs, using more memory. A realistic use of memoisation is computing the Fibonacci series. The Fibonacci series is defined recursively: the first two values are 1 and 1, then f(n) = f(n - 1) + f(n - 2). 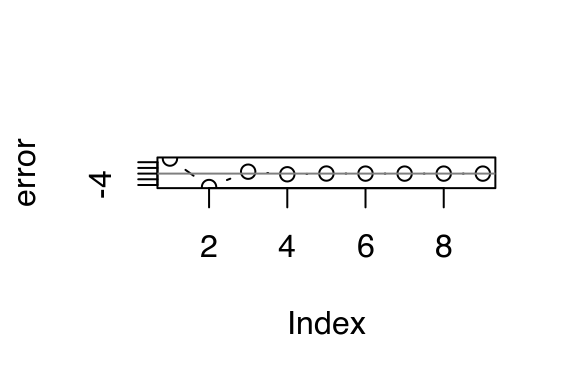 A naive version implemented in R would be very slow because, for example, fib(10) computes fib(9) and fib(8), and fib(9) computes fib(8) and fib(7), and so on. As a result, the value for each value in the series gets computed many, many times. Memoising fib() makes the implementation much faster because each value is computed only once. This gives a function that we can easily use with lapply(). However, if something goes wrong with the loop inside lapply(), it can be difficult to tell what’s going on. The next section will show how we can use FOs to pull back the curtain and look inside. One challenge with functionals is that it can be hard to see what’s going on inside of them. It’s not easy to pry open their internals like it is with a for loop. Fortunately we can use FOs to peer behind the curtain with tee(). tee(), defined below, has three arguments, all functions: f, the function to modify; on_input, a function that’s called with the inputs to f; and on_output, a function that’s called with the output from f.
cat() allows us to see what’s happening as the function runs, but it doesn’t give us a way to work with the values after the function as completed. To do that, we could capture the sequence of calls by creating a function, remember(), that records every argument called and retrieves them when coerced into a list. The small amount of S3 code needed is explained in S3. Unfortunately there’s a problem with this implementation because function arguments are lazily evaluated: f() may have changed between applying the FO and evaluating the function. This is a particular problem if you’re using a for loop to create multiple function operators. In the following example, we take a list of functions and delay each one. But when we try to evaluate the mean, we get the sum instead. Write a FO that logs a time stamp and message to a file every time a function is run. What does the following function do? What would be a good name for it? Modify delay_by() so that instead of delaying by a fixed amount of time, it ensures that a certain amount of time has elapsed since the function was last called. That is, if you called g <- delay_by(1, f); g(); Sys.sleep(2); g() there shouldn’t be an extra delay. Write wait_until() which delays execution until a specific time. There are three places we could have added a memoise call: why did we choose the one we did? Why is the remember() function inefficient? How could you implement it in more efficient way? Why does the following code, from stackoverflow, not do what you expect? # return a linear function with slope a and intercept b. # create a list of functions with different parameters. How can you modify f so that it works correctly? The next step up in complexity is to modify the output of a function. This could be quite simple, or it could fundamentally change the operation of the function by returning something completely different to its usual output. In this section you’ll learn about two simple modifications, Negate() and failwith(), and two fundamental modifications, capture_it() and time_it(). base::Negate() and plyr::failwith() offer two minor, but useful, modifications of a function that are particularly handy in conjunction with functionals. plyr::failwith() turns a function that throws an error into a function that returns a default value when there’s an error. Again, the essence of failwith() is simple; it’s just a wrapper around try(), the function that captures errors and allows execution to continue. I think this is a great example of the power of combining functionals and function operators: it lets you succinctly express what you need to solve a common data analysis problem. ##  " int [1:10] 1 2 3 4 5 6 7 8 9 10"
In this example, there’s not a huge benefit to using function operators, because the composition is simple and we’re applying the same operator to each function. Generally, using function operators is most effective when you are using multiple operators or if the gap between creating them and using them is large. Create a negative() FO that flips the sign of the output of the function to which it is applied. The evaluate package makes it easy to capture all the outputs (results, text, messages, warnings, errors, and plots) from an expression. Create a function like capture_it() that also captures the warnings and errors generated by a function. Create a FO that tracks files created or deleted in the working directory (Hint: use dir() and setdiff().) What other global effects of functions might you want to track? The next step up in complexity is to modify the inputs of a function. Again, you can modify how a function works in a minor way (e.g., setting default argument values), or in a major way (e.g., converting inputs from scalars to vectors, or vectors to matrices). A common use of anonymous functions is to make a variant of a function that has certain arguments “filled in” already. This is called “partial function application”, and is implemented by pryr::partial(). Once you have read metaprogramming, I encourage you to read the source code for partial() and figure out how it works — it’s only 5 lines of code! Using partial function application is a straightforward task in many functional programming languages, but it’s not entirely clear how it should interact with R’s lazy evaluation rules. The approach pryr::partial() takes is to create a function that is as similar as possible to the anonymous function that you’d create by hand. Peter Meilstrup takes a different approach in his ptools package. If you’re interested in the topic, you might want to read about the binary operators he created: %()%, %>>%, and %<<%. base::Vectorize() converts a scalar function to a vector function. It takes a non-vectorised function and vectorises it with respect to the arguments specified in the vectorize.args argument. This doesn’t give you any magical performance improvements, but it’s useful if you want a quick and dirty way of making a vectorised function. A mildly useful extension to sample() would be to vectorize it with respect to size. Doing so would allow you to generate multiple samples in one call. In this example we have used SIMPLIFY = FALSE to ensure that our newly vectorised function always returns a list. This is usually what you want. splat() converts a function that takes multiple arguments to a function that takes a single list of arguments. Our previous download() function only downloads a single file. How can you use partial() and lapply() to create a function that downloads multiple files at once? What are the pros and cons of using partial() vs. writing a function by hand? Write FOs that convert a function to return a matrix instead of a data frame, or a data frame instead of a matrix. If you understand S3, call them as.data.frame.function() and as.matrix.function(). You’ve seen five functions that modify a function to change its output from one form to another. What are they? Draw a table of the various combinations of types of outputs: what should go in the rows and what should go in the columns? What function operators might you want to write to fill in the missing cells? Come up with example use cases. Look at all the examples of using an anonymous function to partially apply a function in this and the previous chapter. Replace the anonymous function with partial(). What do you think of the result? Is it easier or harder to read? Besides just operating on single functions, function operators can take multiple functions as input. One simple example of this is plyr::each(). It takes a list of vectorised functions and combines them into a single function. Two more complicated examples are combining functions through composition, or through boolean algebra. These capabilities are the glue that allow us to join multiple functions together. Compose also allows for a very succinct implementation of Negate, which is just a partially evaluated version of compose(). This type of programming is called tacit or point-free programming. (The term point-free comes from the use of “point” to refer to values in topology; this style is also derogatorily known as pointless). In this style of programming, you don’t explicitly refer to variables. Instead, you focus on the high-level composition of functions rather than the low-level flow of data. The focus is on what’s being done, not on objects it’s being done to. Since we’re using only functions and not parameters, we use verbs and not nouns. This style is common in Haskell, and is the typical style in stack based programming languages like Forth and Factor. It’s not a terribly natural or elegant style in R, but it is fun to play with. compose() is particularly useful in conjunction with partial(), because partial() allows you to supply additional arguments to the functions being composed. One nice side effect of this style of programming is that it keeps a function’s arguments near its name. This is important because as the size of the chunk of code you have to hold in your head grows code becomes harder to understand. Below I take the example from the first section of the chapter and modify it to use the two styles of function composition described above. Both results are longer than the original code, but they may be easier to understand because the function and its arguments are closer together. Note that we still have to read them from right to left (bottom to top): the first function called is the last one written. We could define compose() to work in the opposite direction, but in the long run, this is likely to lead to confusion since we’d create a small part of the langugage that reads differently from every other part. And we now have a boolean algebra on functions, not on the results of functions. Implement your own version of compose() using Reduce and %o%. For bonus points, do it without calling function. Extend and() and or() to deal with any number of input functions. Can you do it with Reduce()? Can you keep them lazy (e.g., for and(), the function returns once it sees the first FALSE)? Implement the xor() binary operator. Implement it using the existing xor() function. Implement it as a combination of and() and or(). What are the advantages and disadvantages of each approach? Also think about what you’ll call the resulting function to avoid a clash with the existing xor() function, and how you might change the names of and(), not(), and or() to keep them consistent. Above, we implemented boolean algebra for functions that return a logical function. Implement elementary algebra (plus(), minus(), multiply(), divide(), exponentiate(), log()) for functions that return numeric vectors.